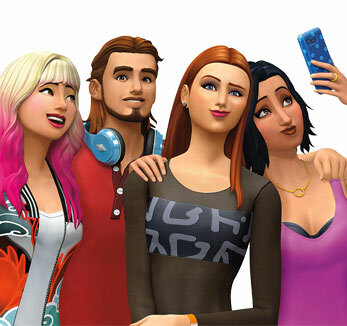 Whether you're looking for help with any of your Sims games or wanting to chat with your fellow Simmers, you found the right place. The Sims has several boards and is supported in several languages which are explained in more details below. What is each Board for? XP and solutions, what are they and how do they work? If you have any questions about how Answers HQ works, you can send any of the Community Managers a private message, or open a thread at the AHQ Forum. When you enter the main AHQ Address, you land on this page. There are several ways to navigate to your board or post a question. It's good practice to Search first but as the overview page will give you results from ALL EA games, this mostly isn't that helpful. So either use the All Boards or search all boards (type for example Sims 4 and then pick your product) to reach the Board Overview described below. Each Board has their own purpose as explained below. Everything about The Sims Mobile goes in here. Read this thread for a detailed tutorial on it. You can discuss the game here and ask gameplay questions if you're unsure how something works. This section is also for feedback and new ideas what to add to the game. If your game doesn't run properly, it crashes, you can't log in or you have a similar issue, take a look to Technical issues board. Your first stops when things don't work as they should are [READ FIRST] Troubleshooting your Game and [READ FIRST] Known issues, links, guides and FAQs. This board is for troubleshooting your issues. Fellow players will jump in and try to help you get back into the game. This is the same as Technical Issues - PC just for console issues. If you find a bug for console, please report these in the bug forum instead of in the Consoles forum. Even if there already is an post for PC, make a new post for the Console bug. Don't use the PC ones for Consoles. If something doesn't work properly in The Sims 4 and you think it's a game bug, report it here. You find all information on how the bug forum works here: [INFORMATION] How does this forum work This board is heavily moderated and your issue might get merged with an existing bug report or maybe moved to the Technical issues board for further troubleshooting or even to Game Information if it's rather feedback than a bug. Please consult the compiled lists here: [READ FIRST] Compiled list of reported Gameplay Issues and here [READ FIRST] Compiled List of Build/Buy Issues to see if your issue already has a thread. The most important tool in the bug forum is the Me Too button. It shows how widespread an issue is. So if you have an already reported bug but don't have anything more to say about, click the button. Also click if if you do decide to add a comment as well. Everything that doesn't fit in any of the other The Sims game sections goes in here. This includes: The Sims 1 & 2, Sims Medieval, MySims or Sims Stories. There's only one section so everything concerning these games goes in here. Everything about the The Sims 3 goes in this forum. This forum is for the console version and the PC version. For Mac, please use the Mac forum. Want to talk or have a question about the The Sims Freeplay? Then this is your section. Have an issue with The Sims on Mac? Post here. Whether it's The Sims 3, 4 or medieval, this is a good place to post. If you have issues with The Sims 2, it's best if you post in Other The Sims Games. If you find a bug for The Sims 4 Mac, post it in the bug forum. The Menu bar will then change and only show the boards available in that language (boards vary from language to language). If there isn't a dedicated forum for The Sims game you play, just choose an appropriate one. When checking all your posts, you will only see the ones you posted in the language you have chosen. Always fill out the bug templates in the language of the actual forum. You can access threads and forums in other languages even if you have the language set to something else but you won't be able to fully fill out the template cause some of the boxes might be empty. Take a look at the search results. If any of the posts you see is about the same topic you want to discuss, go ahead and answer that thread! If you can't find anything similar, it's time to open a new thread. You can open a new thread using the New Topic button in any board. Be aware that it can sometimes take a moment for the button to show up. Please, avoid opening the same thread in different boards - this is considered spam and it's against the forum rules. If you are not sure which is the right board for your topic, just open it in one place and it will be moved if needed. Be aware that the submit button sometimes likes to play hide and seek. If it doesn't show up although you posted something, try adding some spaces to your post or change to HTML view if you have that available. This most often happens if you copy/paste something to the post instead of writing. Especially in longer threads you might want to reply to a certain post and quote what the user has said in that post to make it clearer what you are referring to. You will then be taken to a window where you can see the quote link in the upper right corner. Pressing it, will add the complete content of the post you're replaying to to your post. You can then edit the quote to make sure it contains the vital info you need. If there's pictures, it's best to remove those from the quote. or if you forget to set it, or want to be kept up-to-date on a thread you haven't posed in, you can subscribe through the Topic Options of the post. You can also bookmark a thread for later easy finding through your profile. You won't get an e-mail for new posts in those though. You can choose to automatically subscribe to your threads and manage your bookmarks and subscriptions from your profile (click on your username in the upper right corner and choose settings). Under ‘Recent activity’ you will see your last posts, and if you click on ‘View all’ you will get to a page with a list of all your posts posted in the language you have chosen. If you have something to add to your post and no one has answered your post yet, it's best practice to edit your post instead of double posting (you can create a new post if it's been more than 24 hours and you didn't receive an answer). To edit your post, click on the three dots of the post and choose Edit Reply. This will allow you to edit. You are also able to delete your own post but only if no one has answered to it. To do so, either use Attach file at the bottom or the little picture icon in the bar and then upload and insert to your post. When you see a helpful post, you can use the ‘XP’ button to give experience points to the user who wrote it. It's an easy way of saying 'thank you' to the author and help them level up in the community. You can do this with any post you didn't write. Your issue or question is solved. The post you have marked as solution contains the answer that helped you, which can be useful for other players who have your same issue in the future. AHQ has a ranking system that is based on amount of XP and solutions. You can see your rank in two places. Either under your user name on the posts you made or in the upper right corner, next to you XP. Every community has its rules. You can find the AHQ user rules and guidelines here . Please, check them before participating in the community. You can find more Information about AHQ on this Page AHQ FAQ Page or the AHQ Forum. If you plan to help out as well, you are welcome to join us in The Sims Helpers Corner - A place for helpers to talk or visit the Academy for tips and tricks.